India was on Friday sending two naval ships and a C-17 aircraft with relief material like medicines and tents along with teams of rescue experts to Sri Lanka which has been severely battered by tropical cyclone Roanu. A high-level meeting was held at the Home Ministry which assessed the requirement of relief material and airlifting them to the island nation, as India promised to extend all necessary help to the neighbour. Navy said that Naval Off Shore Patrol Vessel (NOPV) INS Sunayna and survey vessel INS Sutlej are being sent to Colombo coast from Southern Naval Command in Kochi. “India is extending help and relief to Sri Lanka which is battling torrential rains and landslides which have caused significant devastation and loss of life. “The Indian Navy is sending two ships today, INS Sutlej and INS Sunanyna with Geminis (inflatable boats), OBMs(outboard motors), additional divers, tarpaulins, consumable stores, rations, etc,” said External Affairs Ministry Spokesperson Vikas Swarup. He said the Home Ministry held a meeting on coordinating an airlift with NDMA cargo and assessed quantity of relief material required. 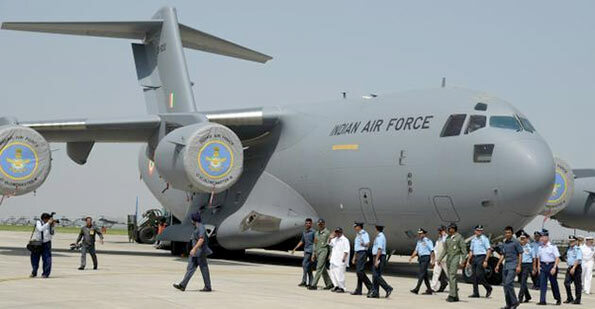 Swarup said that all the material will be collected here and a C-17 aircraft with crew and officials from National Disaster Management Authority (NDMA) and National Disaster Response Force (NDRF) will leave for Sri Lanka and there will be a brief halt at Chennai to pick up additional material. “It will reach in the evening today carrying medical supplies, tarpaulins, tents, emergency lights consumables stores, and mobile toilets. The Ministry is in constant touch with our High Commission for any additional logistical support that might be required,” said Swarup. The MEA Spokesperson said India will extend all necessary help to the country as requested. “Lanka is a close neighbour and friend and India has always been the first responder in times of a crisis. As was the case during the Tsunami that affected Sri Lanka in the past, this time also India will extend all necessary help and relief to Sri Lanka, as requested,” he said. The cyclone has wreaked havoc along Sri Lankan coast. 63 people have been killed and 134 were missing following massive landslides and floods in Aranayake and Bulathkohupitiya areas. Over 300,000 people are housed in relief camps. 354 homes have been totally destroyed, according to Lankan officials.